For their first meeting in the new year, the mineralinos will be taking a journey into the past, ending up on the Pangea supercontinent. Here they will discover how this continent was formed, what life forms lived there, and what happened to it over millions of years. Every child has no doubt wondered what earth used to look like, whether it had the same continents as today, and how big they were. The mineralinos will learn that about 300 million years ago there was only one, giant continent – this supercontinent was called Pangea. ‘The word Pangaea comes from ancient Greek and literally means the whole earth,’ explains Jan Marc Wargenau, group leader for the mineralinos. 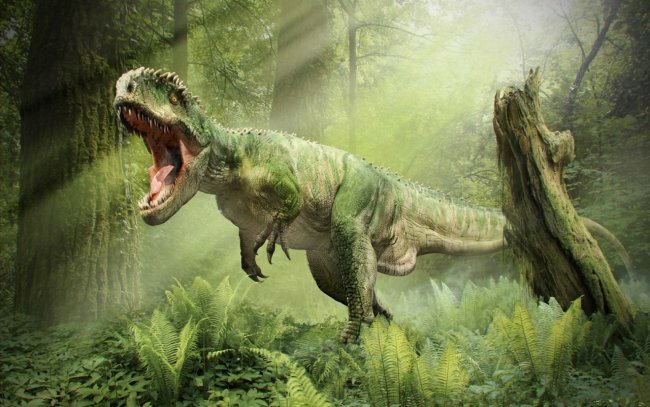 The most famous inhabitants of the last supercontinent, Pangaea, were probably the dinosaurs. 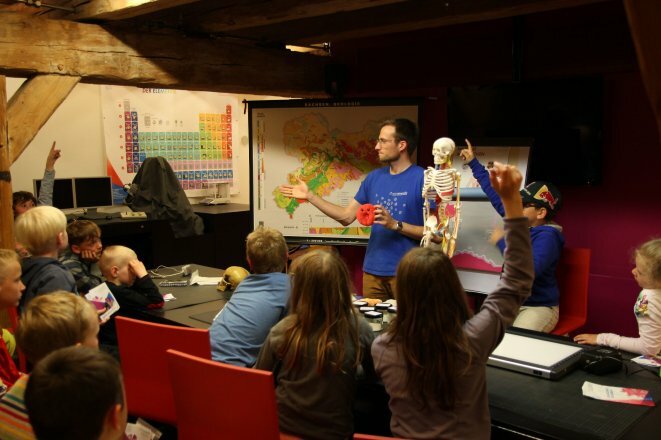 ‘We want to use this session to show the kids what life on this supercontinent must have looked like, and what became of it over time.’ Kids will learn from this exciting afternoon where parts of this continent can be found even today and what that has to do with the terra mineralia minerals. This topic for our first gathering of 2015 will help the kids get acquainted with the foundations of geology. ‘This fundamental knowledge is very important in understanding the geological processes which lead to the production of minerals,’ says Jan Marc Wargenau, a geological sciences student at TU Bergakademie Freiberg. 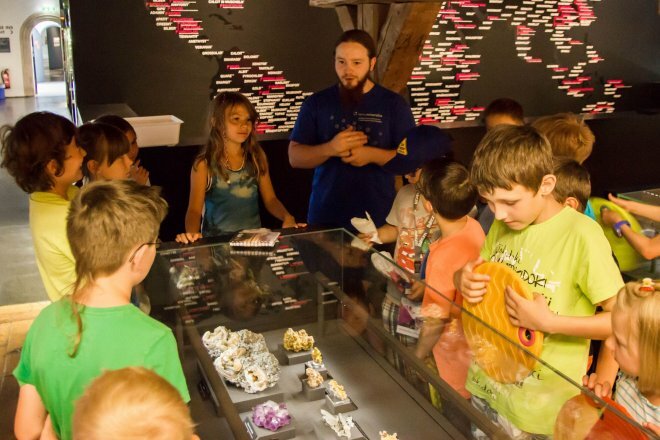 His hope is to give interested kids a basic and fun introduction to the world of minerals. 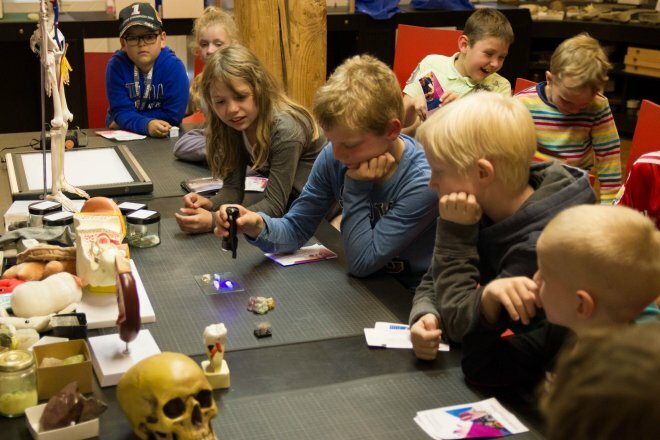 ‘Kids are fascinated by lost worlds, especially when dinosaurs and other unusual life forms are involved,’ notes the mineralinos group leader, who’s looking forward to this first meeting with the eager young researchers. The mineralinos meet at the terra mineralia cashier desk in Schloss Freudenstein. Further information is available from the Information Desk on 03731 394654 or by email at fuehrungen@terra-mineralia.de. 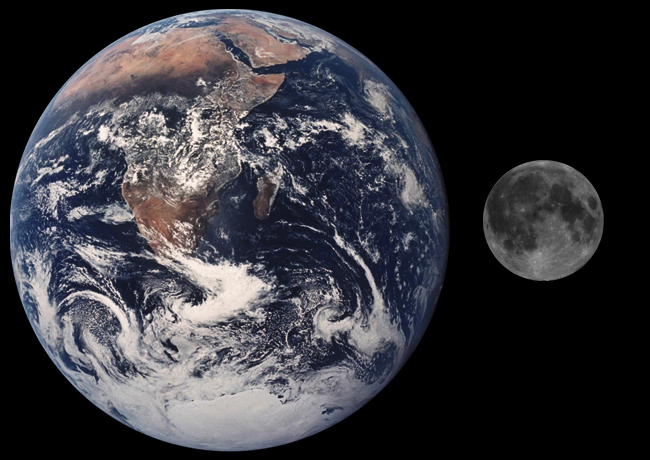 The moon – different heavenly body, different rocks, different minerals? On Monday 2 February at 16.00 the mineralinos, the terra mineralia kids club, will be getting to grips with an unusual topic. We’ll be talking about the moon - our constant companion, and one which shapes our daily lives, as the children will learn. The mineralinos normally look at mineralogical and geological subjects on earth. But this time they’ll be going on an exciting journey to the moon. They’ll be learning how the moon came into being and just what that has to do with lunar rock. Another interesting question: just what is the moon made of? Are there rocks and minerals on the moon at all and, if so, what do these look like? But the moon has even more fascinating characteristics, because it’s responsible for the tides. Kids will also learn what an eclipse of the moon is. The mineralinos meet at the terra mineralia ticket office in Schloss Freudenstein. Please contact the Info Desk for more information on 03731 394654 or fuehrungen@terra-mineralia.de. Nearly all children are interested in dinosaurs. These unusual creatures give us a window into the history of a long-lost age through their fossils. At this session the mineralinos will learn where these giants lived and what the likely cause was of their extinction. 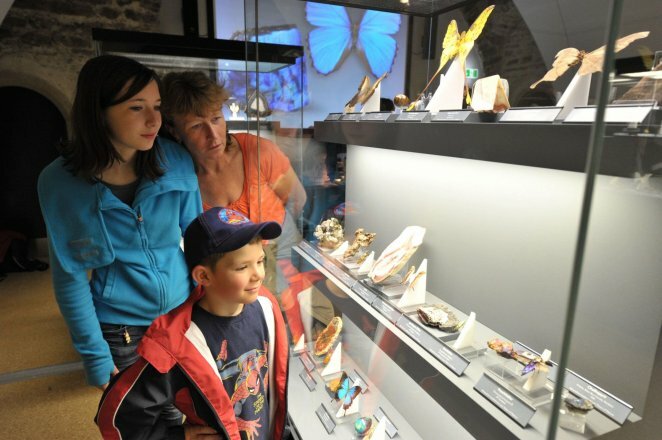 Visit to the special exhibition "Flying Jewels II"
The mineralinos will discover the colourful world of insects and minerals at the "Flying Jewels II" special exhibition. 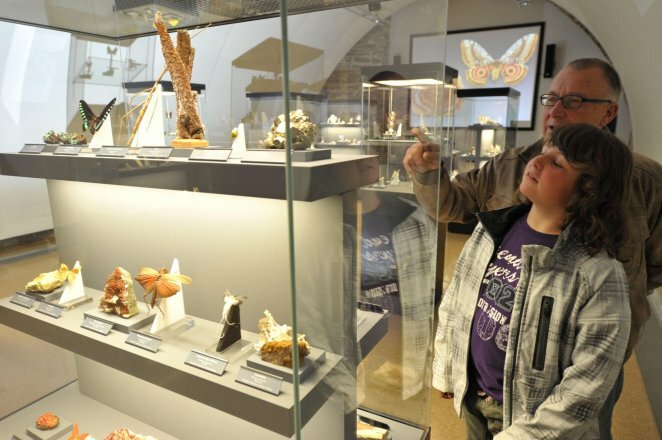 They’ll watch and wonder at the many similarities between butterflies and minerals. The deserts of the Sahara and Kalahari in Africa, the Gobi desert in Asia and the Atacama desert in South America – we’ve heard of many of them and know that they’re mainly made of sand. But there are other kinds of deserts, too – desert pavements, rocky deserts, salt deserts and even ice deserts in the Antarctic. Minerals can be found all over these deserts. That’s why there are amazing things to be discovered. So, for example, sand from the Sahara can be found as far afield as America. The great swings in temperature between day and night make life here a real adventure for any mineral or living thing. 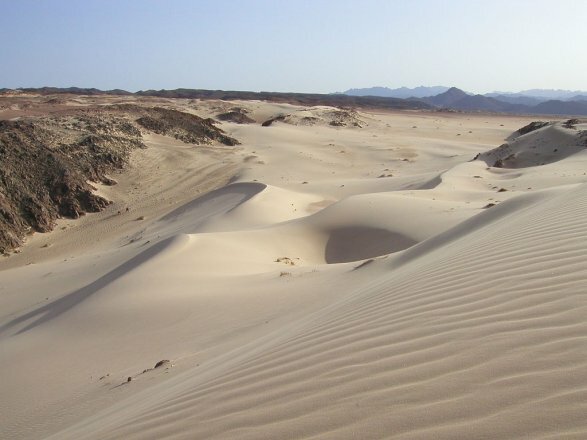 On Monday 4 May at 16.00, kids can discover what geological processes lead to the emergence of deserts. And then we’ll be asking whether deserts are just dead land or in fact still useful for us human beings. 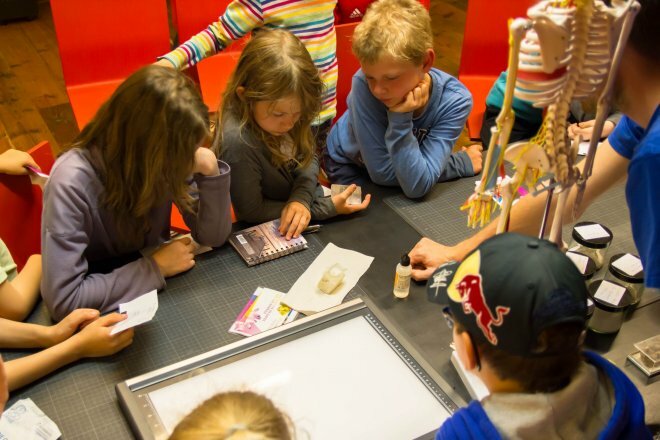 We look forward to welcoming all inquisitive kids aged between 7 and 11 years old. Meeting point: terra mineralia ticket office at 16.00. Fee: €2 per child, or free with an annual pass. 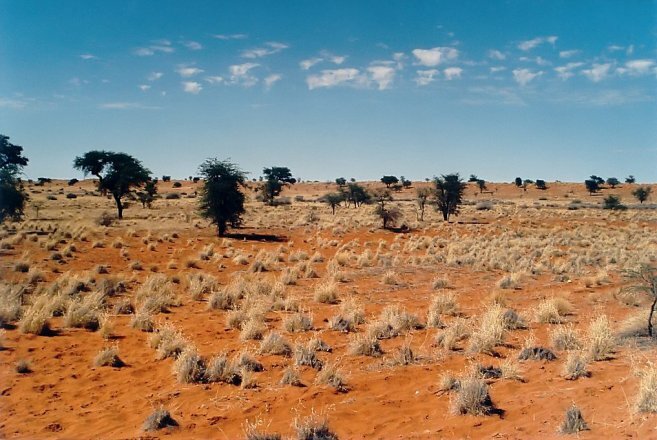 Kalahari Desert, Photo: Elmar Thiel, wikipedia. 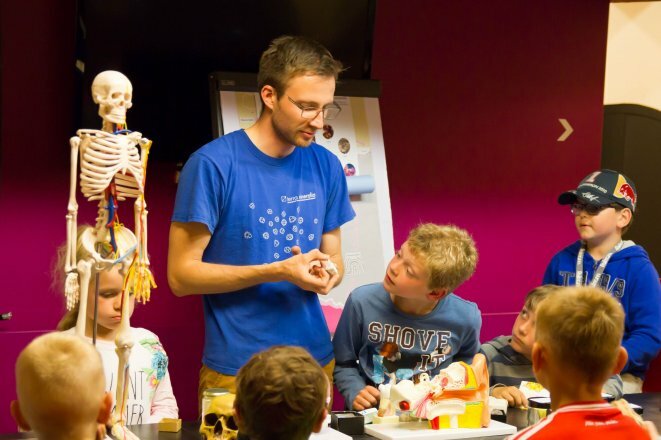 On 1 June at 4pm the mineralinos, the terra mineralia kids club, are going on a journey of discovery through their own bodies. The 7- to 11-year-olds will be investigating which minerals live in them and what these are useful for. Without minerals, the human body wouldn’t work well. They stabilise bones and teeth, are necessary for maintaining balance and help us to see. Some make us ill; others can be tasted on the skin when we sweat or give blood its red colour. But it’s not just people that minerals help – they help animals, too. So magnetite, for example, shows birds which direction to fly. How exactly this all works is what the kids will be investigating with the help of small experiments. The mineralinos meet at the terra mineralia ticket office in Schloss Freudenstein. For more information, please contact the Information Desk on 03731 394654 or fuehrungen@terra-mineralia.de. 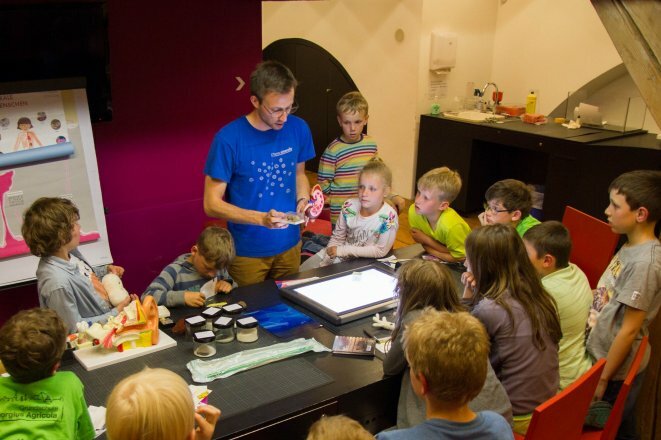 Session costs €2 per child; free with an annual ticket. 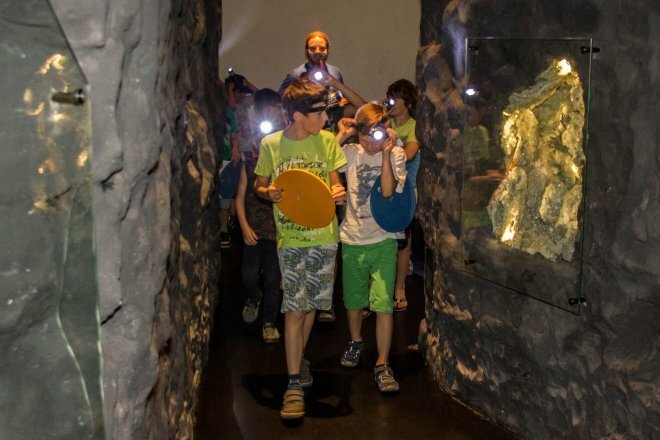 Next Monday, July 6th, at 4 pm, the mineralinos, the children’s club of the terra mineralia will take a look underneath the Earth. 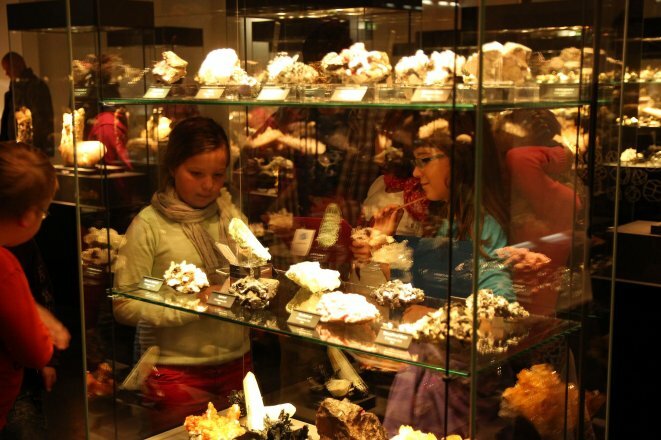 Many of the 7- to 11-year-olds have already collected minerals on field trips but the real treasures lie in caves and grottos. A popular saying states that “everything comes from the mountains,” and that is true. Indeed, many of the minerals essential in technology and every-day life are hidden in the underground tunnels of mines, firmly enclosed by rock. However, most crystals are found in caves. But why is this so, and what exactly is a cave? How is it made? What could one also do with caves once all the minerals have been excavated? 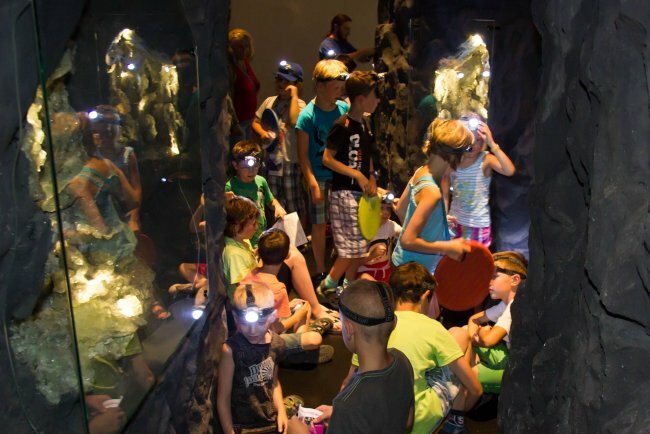 At this discussion, the mineralinos will dive into an unknown, subterranean realm and discover what these fantastic treasure chambers look like and what particular types of minerals may be found there. The mineralinos will meet at the check-out point of the terra mineralia in Schloss Freudenstein. For further information, please contact the information desk at 03731 394654 or fuehrungen@terra-mineralia.de. Entrance is 2 Euro per child, or free with an annual pass. Young geologists, take note! The mineralinos are going on another field trip. On Sunday 30 August from 10am, children from 7 years old can search around the countryside of Schlottwitz for the finest agates, with helmets and hammers like real mineral hunters. Accompanied by geologists and mineralogy students from TU Bergakademie, they’ll scour the ground and learn what they need to be looking out for in their search. When minerals are found, they will of course be carefully recovered and identified. The excursion leaders also have all the tricks at the ready, and smart packaging, too. At the end, the treasures will be taken home for children’s personal collections. Over the shared picnic afterwards, participants will be able to admire all the finds one last time and perhaps even do a bit of swapping – just like real collectors. Due to the great success of our last trip we want to look for agates again this year in Schlottwitz. Without these items, your child will not be allowed to participate in the excursion. We request that you also participate in the excursion in order to support and supervise your child in his/her search. Please inform your child that he/she must precisely follow the instructions of the supervisors. The number of participants is limited to 20 children with their parents. The participants should be at least 10 years old. 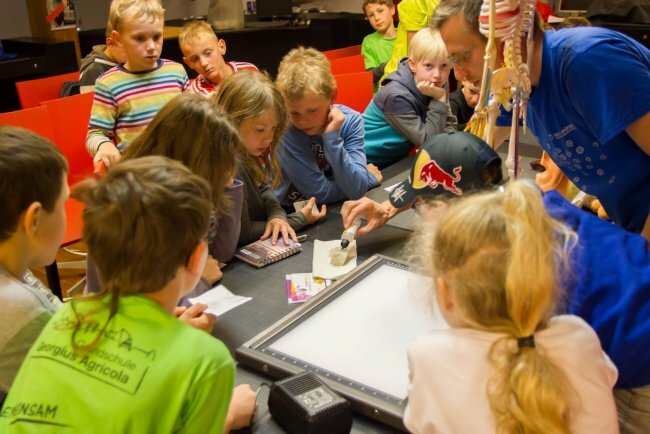 Please register your child at the terra mineralia Info Desk (03731 394654 or fuehrungen@terra-mineralia.de) by Monday, 24. August 2015. On Monday, the 7th September at 4 pm the mineralinos, the children’s club of terra mineralia, will not only conduct research but also ‘barter’. 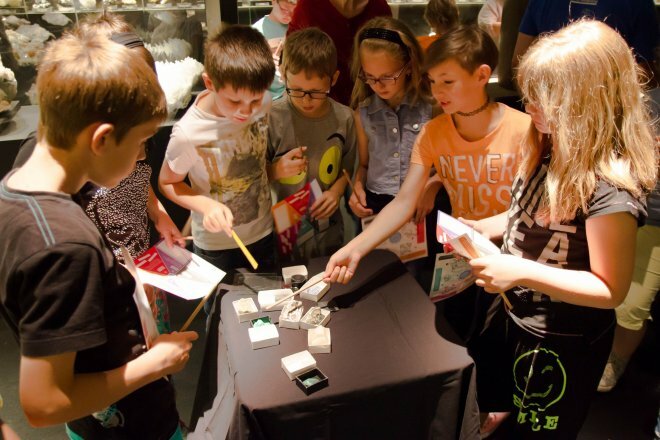 Participants may bring minerals from their own collection, identify them and if they want, exchange them with others. Sun, beach, sea and more minerals! Each excursion or vacation adds to one’s own collection. Each time, whether whilst swimming or hiking, a treasure is found that is somehow special. Sometimes it is even difficult to find a place for it at home. The next mineralino meeting is a good excuse to spare such finds from a life under a thick layer of dust. There one‘s finds but also unfamiliar pieces can be identified and subsequently exchanged. Often one has too many of something of which the other does not have any yet. In this way each collection can be completed and made even more beautiful. On Monday 5 October at 4 pm, the mineralinos, terra mineralia’s kids club, will be getting going again in a somewhat scary fashion. 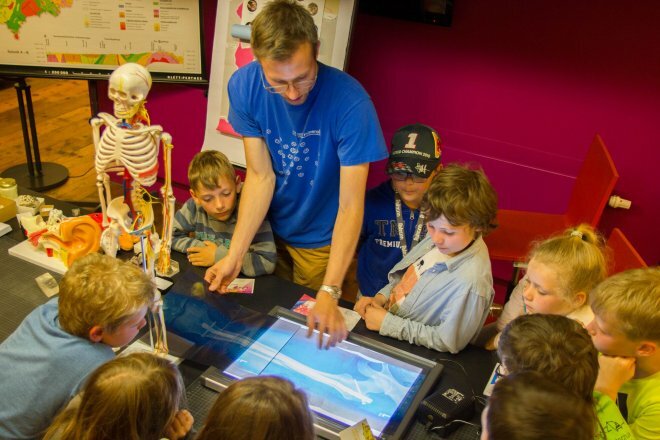 The children will be travelling many million years into the past to learn more about life even before the time of the dinosaurs. Right at the start of the year, the mineralinos came face-to-face with the ancient saurians, but there are other animals, too, that lived much earlier and look completely amazing – scary, even. They might have had lots of arms and even more legs, or perhaps just one foot?! Who, for example, was the most feared ocean predator of the Cambrian, long before there were fishes and dinosaurs? The mineralinos will also look into the question of what needs to happen so an animal or a plant can become a fossil in the first place – a fossil that we can still look for many millions of years later. 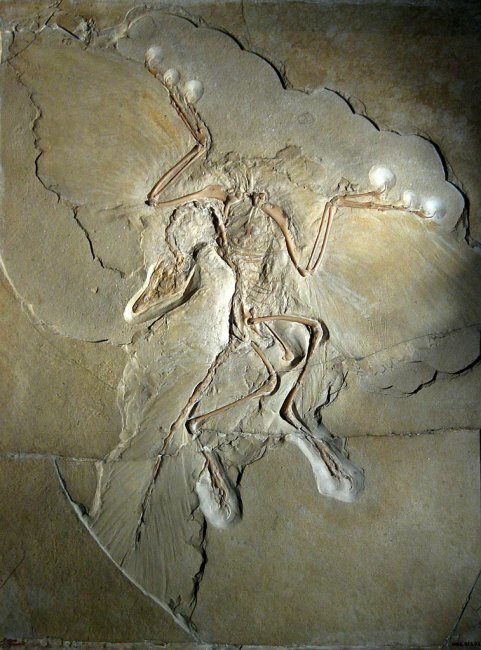 Archaeopteryx lithographica, specimen at the Museum für Naturkunde, Berlin. Photo: H. Raab, own work, Wikipedia Commons. On Monday 2 November at 4pm, all interested children are invited to attend terra mineralia’s kids club, the mineralinos. The theme for this session is glaciers. If millions of tiny little ice crystals gather together in one place, compacting as they lie there over many years, they form a glacier. 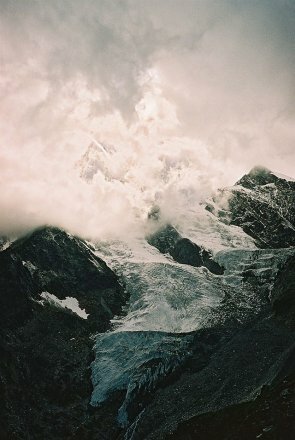 It’s an amazing process when you think how enormous some glaciers can become and how they can change entire landscapes. It wasn’t that long ago, either, that there were even ice masses reaching all the way to Saxony. It’s hard to believe now, but the traces are there to be found. So the mineralinos will be learning how Swedish granite ended up in North Saxon clay pits, or why Danish flint can be found north of Dresden. The Hohbalm glacier over Saas-Fee, Wallis, Switzerland, Photo: wikipedia. Turn off the lights, turn on the minerals! On Monday 7 December 2015 at 4pm, our mineralinos, terra mineralia’s kids club, will be meeting for the last time this year. After a very varied and fascinating year, the mineralinos will be setting out on a fantastic journey of discovery before the quiet and cosy Christmas season begins. Normally we look at our beautiful minerals in the light of day. But not this time. What happens with the minerals when the lights go out in the Mineralogical Collection Germany in the Krügerhaus has remained a secret until now. This secrect will be revealed together with other children. The children will be on the trail of this phenomenon, learning how it comes about that some minerals demonstrate completely different colours in the dark than in the light of day. At the same time, they’ll experience how you can make use of this. Parents are also warmly welcome.